We're all about the adventure through food at FineDiningLovers and what better way to explore global cuisine than through traditional desserts. Whether you're in Bolivia or Belarus, there's a traditional dessert to top off your local food adventure that offers a new lens on the novel facets of an unknown cuisine, including ingredients, flavours or techniques. So if you're all about saving room for dessert when you eat out, here's the global a la carte list of desserts to tempt you as we take your sweet tooth on a trip around the globe and find out what local sweet treats you could be enjoying and where. What dessert is top of the charts as far as you're concerned? Is it cake, or the chocolate chip pie? See how you stack up against your sweet–toothed peers and count up just how many of the 34 desserts you've tried around the world. Most of us are familiar with deep fried, rice and pastry desserts, but how about a soupy dessert? Find out where you could enjoy a bowl of sweet mung bean soup topped off with gelatinous rice balls, as well as other unusual dishes to add to your dessert menu. 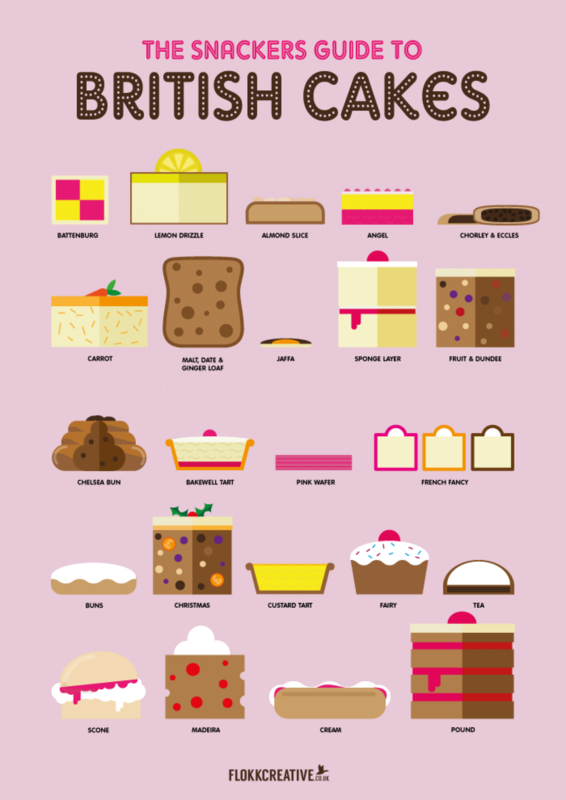 Test your dessert knowledge with this global graphic of popular desserts around the world, as well as putting a calorie count to your favourite treat. 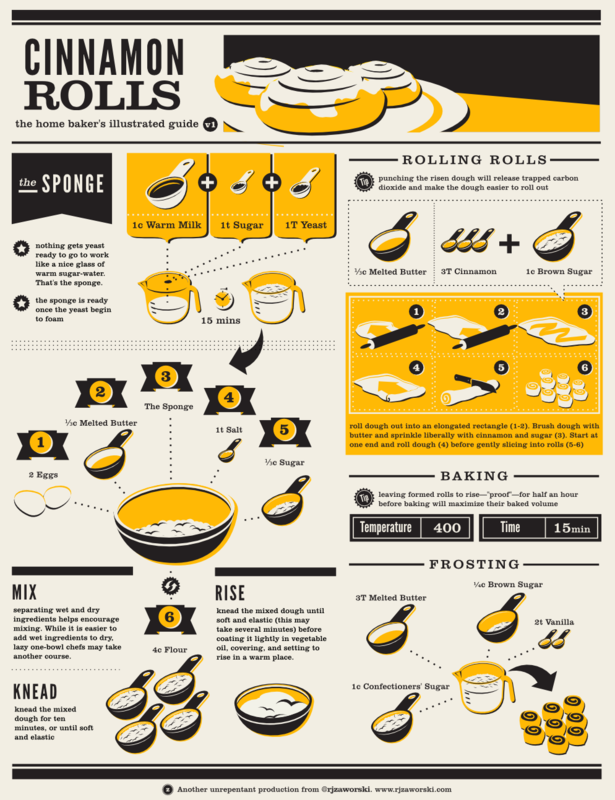 If you can't resist freshly baked cinnamon rolls with a fresh filter coffee, here's a tempting recipe for you to get stuck into. From custard tarts to scones, what British cakes lack in finesse they make up for in flavour and hearty portion sizes. Perfect with an afternoon's cuppa. Layered desserts are a wonderful way of presenting extra interest come dessert time. Layering up colours and different flavours from the trifle to the tiramasu translates across cultural boundaries. 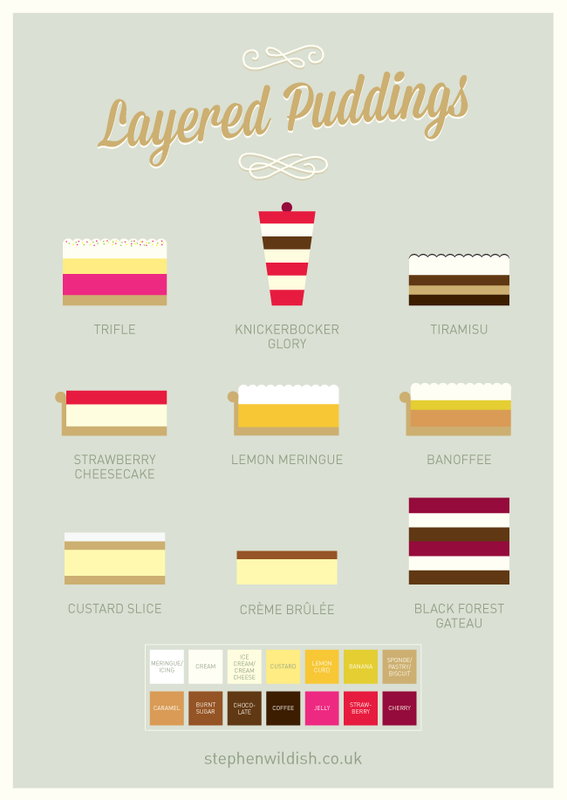 This fun chart comes with a handy colour code so you can identify the cream from the custard. So say it with layers!